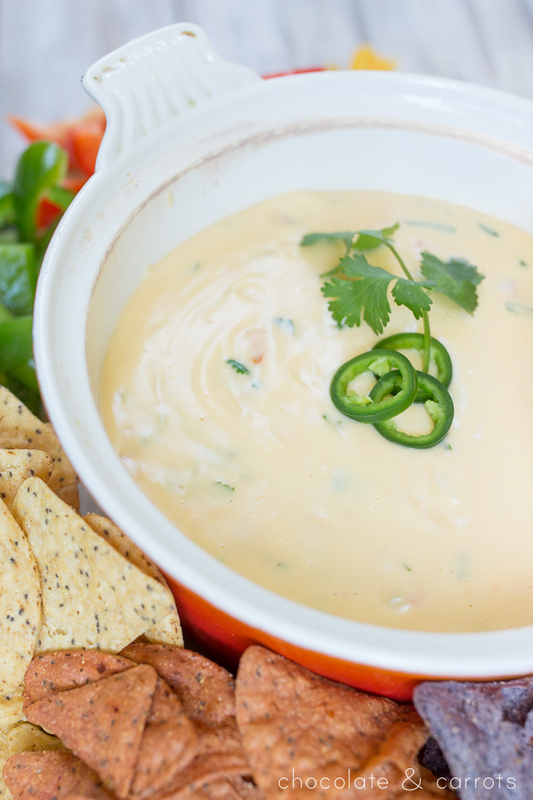 Decadent tasting queso made with an entire head of cauliflower! 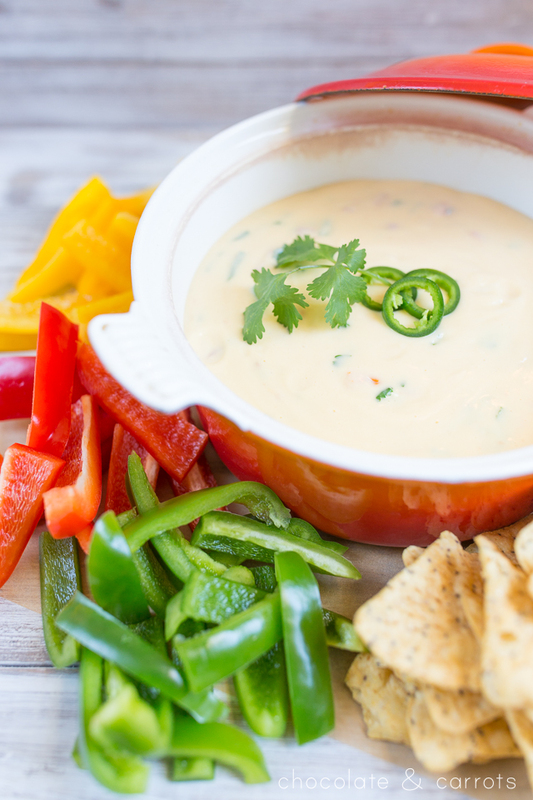 It’s so hidden you can fool a toddler with this cauliflower queso! And for fun, we’re calling it Cauli-Queso. Try as I might, I can’t seem to get Hayden to eat any sort of produce. There was a week where he would eat anything…and other times, he would eat any smoothie I gave him (hello green smoothies!). Now, it’s complete refusal of it all. Dry carbohydrates is all he wants. I mean, I don’t blame him, but I’m his mama and I want to make sure he’s getting the nutrients he needs! and other things like potassium, magnesium, calcium and B-6! 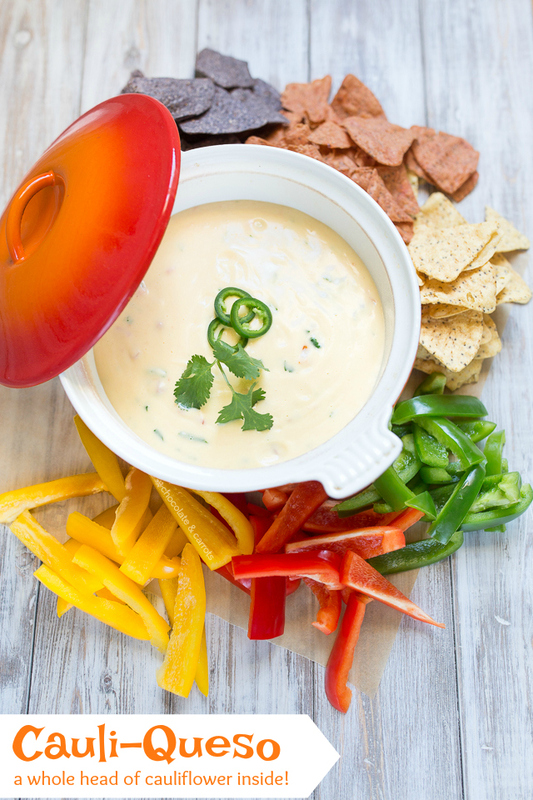 We were all pleasantly surprised at the amazing flavor and cheesiness in the cauliflower queso. It’s so creamy and the flavor is exactly like queso should be. 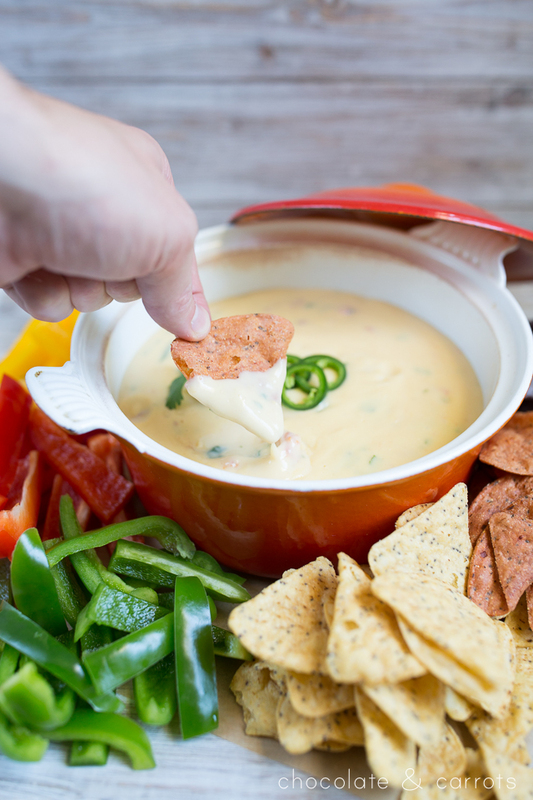 It’s lighter on the tongue that 100% cheese queso, but you don’t miss it with the flavor! 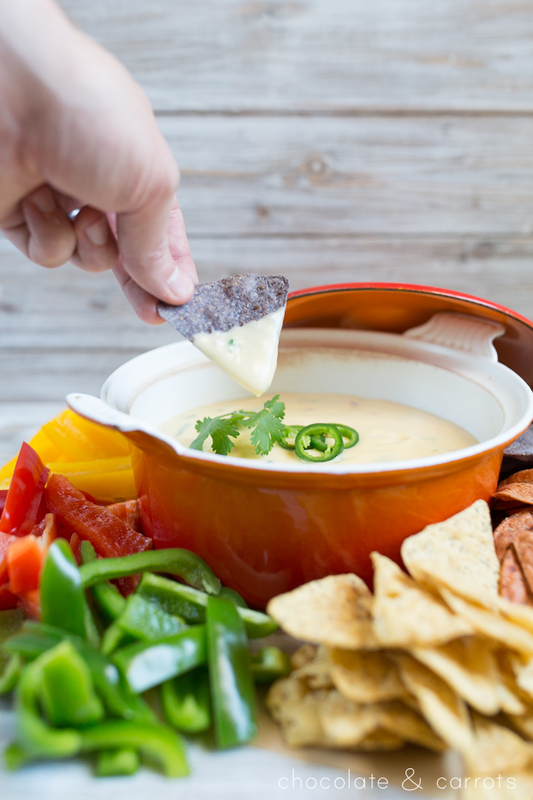 We had a dipping party for dinner and I even made a medley of vegetables (corn, black beans, bell peppers and zucchini) and we topped it with the cauliflower queso, as well! I hope you give it a go and let me know how you like it! Steam the cauliflower. Once soft, blend into a pureé with enough milk to allow it to blend. I have a Blendtec and used the Whole Fruit option twice to make it super creamy and fine. Pour into a pot and heat on medium heat. Slowly add the cheese, 1/4 cup at a time, adding more as the others melts. Once the cheese is incorporated, add in the can of tomatoes and cilantro. Stir until combined completely. Remove from the heat and top with jalapeños and/or more cilantro. 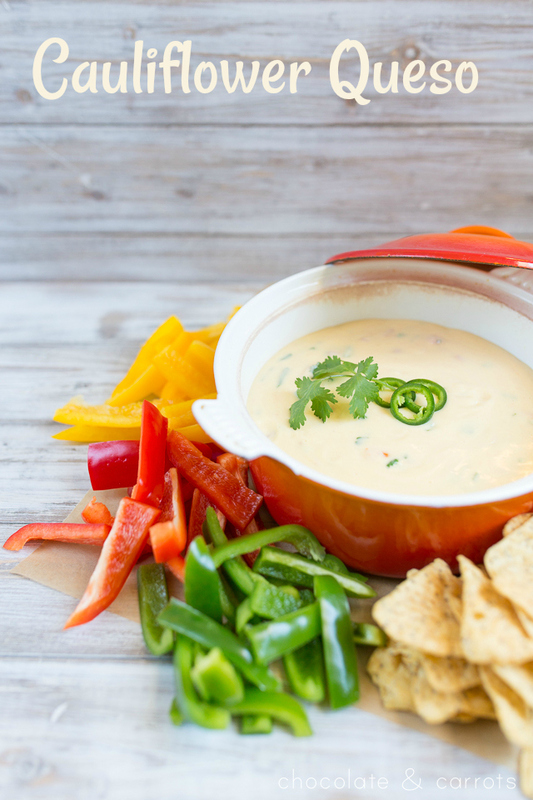 Serve with tortilla chips or vegetables like bell peppers! P.S. Big shout out to my dear friend Jiggs for gifting me such precious Le Creuset pieces! This is one of the pieces his mother taught him to cook on 60 years ago. Such a treasure!